We offer Bootstrap Web development Services that fits wide range of mobile devices in addition to that of desktops, Laptops and Tablets. Advancement of technology and rapid growth of devices has made demand for responsive websites greater. Open Source Bootstrap Framework helps web designers to develop interface components easier. In general this is a responsive framework ideal for developing a websites compatible for wide range of mobile devices. At ANGLER, we believe business growth depends on leveraging technology strengths and to cater to the ever changing needs of the market we keep ourselves very familiar with industry best practices and the unique needs of global customers. In recent times, we see constant demand to create every website responsive for better readability of the content in different devices. 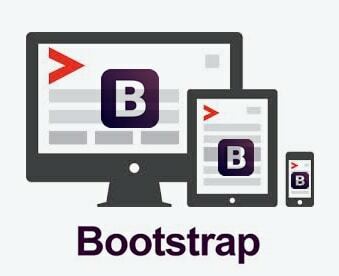 Bootstrap web development services are becoming popular for creating a website that fits wide range of mobile devices in addition to that of PCs, Laptops and, Tablets. We with our highly experienced resources take up the task of creating any challenging bootstrap web development task. Leveraging HTML, CSS & java script technologies, we are able to accomplish difficult tasks easily and faster. Based on our working knowledge & experience in web designing domain we develop the website in a professional way and make it stand out. For developing responsive website with Bootstrap technology, Contact Us. To know more about our Bootstrap Framework Development Services – please visit below.